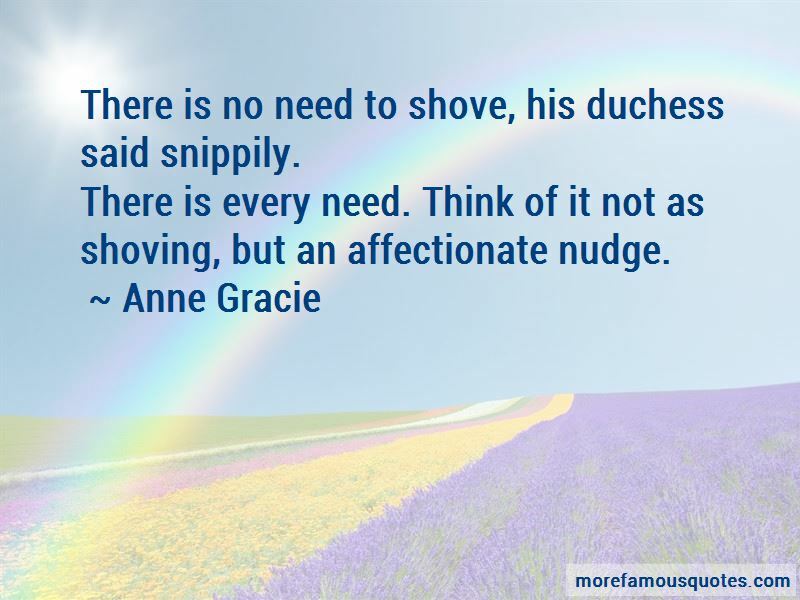 Enjoy the top 21 famous quotes, sayings and quotations by Anne Gracie. “There is no need to shove, his duchess said snippily. Yes. And when a rake finally falls, he falls forever. “I shan't mind if you don't," he agreed. "But I'll not let you go, Prudence. Til not pester you, but know this: I will wait until you choose to listen to your heart." "Pshaw." It was a feeble effort. She took a deep breath and tried again. "Humbug! 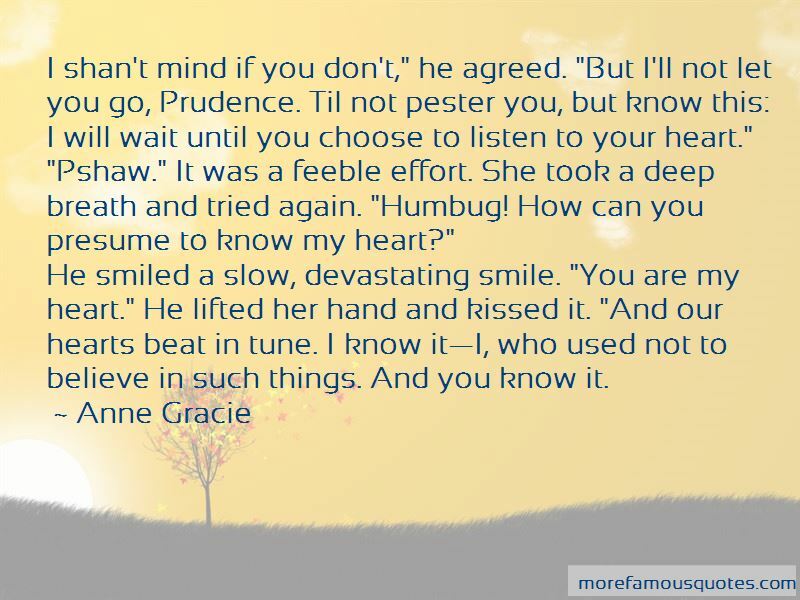 How can you presume to know my heart?" Well, go on then, Abby; run along and let the nice man compromise you. “What the dev- er, deuce did you do that for? It hurt!" “Do you think ladies' eyebrows can communicate as well?" she asked. "No, they don't have sufficient thicketry," he said with authority. “Why didn't I know about this, Gideon?" Lady Augusta demanded, clearly aggrieved at not being first with the news. "And what Welsh aunt is this?" "Auntie Angharad," Gideon informed her solemnly. Lady Augusta thought for a moment and then declared, "You don't have an Auntie Angharad!" “I could still box your ears." “Did he know she could barely think, let alone speak, for awareness of proximity of his fingers? 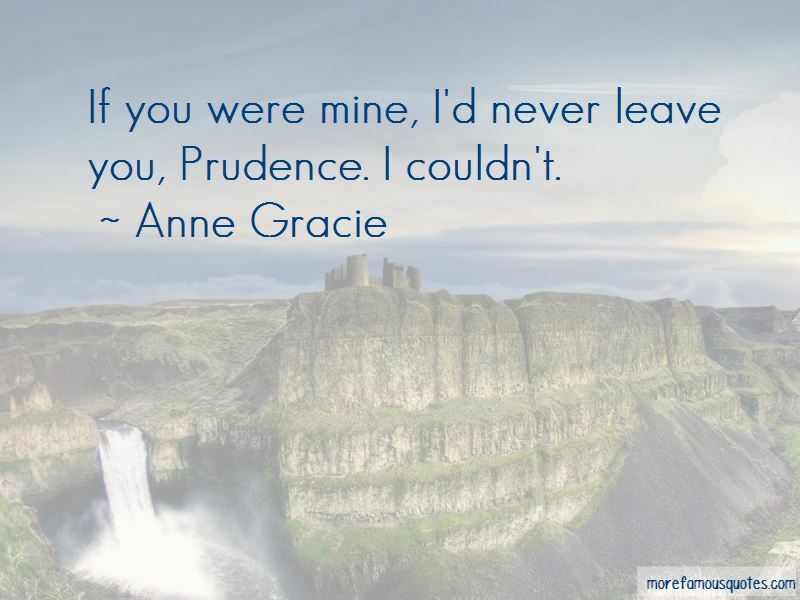 Want to see more pictures of Anne Gracie quotes? 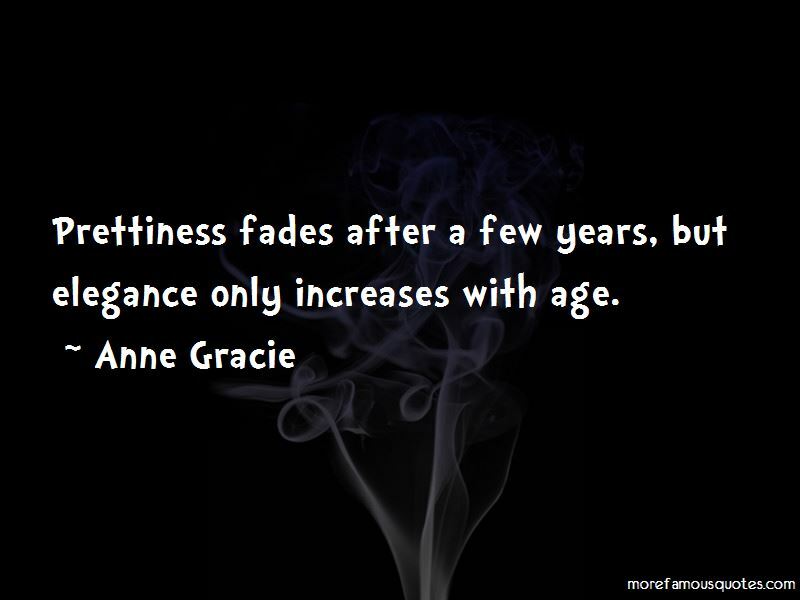 Click on image of Anne Gracie quotes to view full size.